Cadalyst Magazine has posted two great articles discussing what's new in AutoCAD 2013. One is "AutoCAD 2013 from the CAD Manager’s Chair" by CAD Manager Robert Green. The other is from Cadalyst Labs Reviews "AutoCAD 2013" by Bill Fane. Robert Green gives a good review of the new version of AutoCAD from the perspective of a CAD Manager. He highlights the main issues a manager needs to be aware of. Bill Fane details out the new features, updates, and changes to AutoCAD 2013. Check them out. They are good articles. Figure 1: AutoCAD 2013 introduces a new DWG file format. Autodesk has announced the 27th release of AutoCAD! AutoCAD 2013 (codename Jaws during testing) has several new features, system variables and a slightly revised user interface. Autocad 2013 also starts a new drawing file format. Previous versions of AutoCAD will not be able to open up AutoCAD 2013 .DWG files. This new file format includes changes to the thumbnail preview file format and new controls for graphics caching. Thumbnails are now PNG files. Many of the changes to this release are updates or enhancements to existing commands. Many of these new changes have to do with the user interface or user interaction, model interaction, drawing documentation, and cloud connectivity. The last time Autodesk changes the interface on AutoCAD we were given the ribbon. The changes this time are nowhere near as drastic or as dramatic. In fact the change this time is more of a visual change and an interaction change. Fundamentally there is little change. The Welcome screen displays first thing once AutoCAD is started. This is not a new feature but there are new features that this screen provides. There is the typical “What’s New” and “Getting Started” video links. It also displays recently opened files, has links to open a file or to create a new file. There are links to the newly released Autodesk 360, the AutoCAD Exchange App Store, and to AutoCAD related social media sites. You can always turn this feature off and access it through the help menu. Figure 2: The Welcome screen provides direct access to the Autodesk Exchange App store, Autodesk 360, and AutoCAD Social Media. The Command Line has been reworked. It’s still there and still functions in the same way it did before, but has been given more control over its display properties. Instead of being a screen wide pallet by default, it is now a smaller pop up like pallet. It still has pallet like settings (you can return it to a full screen view) and it can be displayed differently with its color, transparency settings. It can also display command history by accessing recent commands automatically. It can be docked at the top or bottom of the AutoCAD Window or left to float on the screen. When it is undocked it is displayed as a single row of text with a semitransparent history that can display up to 50 lines of history. You can still press the F2 key to show the text window. It won’t be its own window but will display the past history above the command line. When typing in a command, (and dynamic input turned off) the autocomplete feature will display commands above the command line when it is not docked. The command line still does what it did before the fundamental change is in the way it is displayed. Figure 3: The command line has an update visual display. AutoCAD 2013 has in-canvas property preview enhancements. Changes to selected objects can be previewed before they are made. Select an object while the properties pallet is opened. Use it to make a change in color. While you hover over the different color options the selected object will display the new color before the change is made. This feature can be turned on or off in the OPTIONS dialog window in the Selection tab. AutoCAD 2012 gave us new array features, 2013 enhances those changes making the array command easier to use. The three array types each start with a standard arrangement of the selected object. Rectangular array displays a 3 x 4 grid of the objects. Polar array displays a 6 object circle and the path array displays the objects evenly spaced along the path. Once started and displayed you can enter in the values on the command line or use the grips on the block to make changes to row and column spacing, number of items, radius, etc. It is visually displayed and arranged making it much easier to edit/create your array. The Viewports Panel on the ribbon has been renamed and reworked into two panels, Model Viewports and Layout Viewports. These new panels provide a visual interface for creating the appropriate type of viewport. Figure 4: Working with Viewports is easier with Ribbon Based controls that are easily accessible. Some other interface changes that I’d like to mention do not change the functionality in a great way, but they are small things that do make existing commands a bit better. One is in the Quick View Drawings thumbnail previews. The current view is now labeled with a larger bold face type making is easier to identify which view is current. The Hatch editor can now edit multiple hatch objects at one time. Not a huge deal but a good enhancement. Raster images that are inserted or referenced in a file will have a better display quality due to enhancements in the algorithm used. Again, nothing that the user can do but just something that has been improved. Also in the External Reference Manager user can edit the Saved Path directly in the palette and the Found path is read only. Also referencing files as a Relative Path is now the default unless it is not available. Again, one of those small changes but one that can help none the less. Legacy snap behavior (before AutoCAD 2012) of being able to enforce it during point acquisition has been restored. AutoCAD has turned into a powerful 3D modeling machine over the past several releases. This release has enhanced several of those tools. Point Cloud support is better and more streamlined. There are more Point Cloud tools available on the new Point Cloud Panel which is found on the Insert tab of the Ribbon. You can now attach and manage point cloud files similarly to working with xrefs, images, and other externally referenced files. Selecting a referenced point cloud will display a box around the cloud showing you where it is. You can also adjust the point cloud density and color with the new tools. Users can also CLIP a point cloud as you would a referenced file. And the indexing of point cloud data files has been streamlined. Working with 3D objects is a bit easier due to the enhanced PressPull command. It is more flexible than before. Use the Multiple option or press the Shift Key to select more than one object to press/pull at the same time. You can now also select 2D and 3D curves and are no longer limited to clicking inside a bounded area. When extruding a face, the default behavior is to pull out, but press the CTRL key and you can offset the boundary of the area so that the pulled are tapers. The new Extract Isolines tool in the Curves panel of the surface ribbon tab lets you extract iso lines from an existing surface or from the face of a solid. Options within the command let you change the direction of the isolines, to select a chain of isolines, or draw a spline on the curved surface. AutoCAD 2013 now allows you to import Autodesk Inventor models directly into model space using the good old Import command. AutoCAD 2013’s main enhancements come in the form of Drawing Documentation features. There are many tweaks and new features that have been added to 2013. The VIEWBASE or Base View command has been improved on. There are also other commands that are new that will help you use a VIEWBASE object to create cross sections and details of your model in seconds. The Base View tool is found in the Layout Tab on the Ribbon in the Create View Panel. It can be started from either model space or paper space. You can create orthogonal views, in paper space without a viewport, of selected 3D objects or from an imported Inventor model. The VIEWBASE command create standard ortho views (front, top, side, iso, etc.) similarly to how it did in AutoCAD 2012. It is very quick and easy to do. Once your Base View has been created you can use the new commands to make a cross section or detail view. Section Views are made by clicking the Section flyout button in the ribbon. You can create a full, half, offset, aligned or from object type of a section view. The view is dynamic meaning that if the model is updated so will the section. Create details in a similar fashion. These details are drawn at a different scale zooming in to get a closer look at your model. Details are also dynamic meaning that they will update if the model is updated. All views (section s and details) have annotation that is generated automatically when you create them. They can also be edited once created. I would love to go into detail on how to use this new tool but we are running out of room. This is a great tool that has been made better with its additions and new functionality. Making orthogonal view drawings, cross sections and details has never been easier in AutoCAD. There are also several little small updates to several AutoCAD 2013 functions that are nice. One is an improvement to the Export Layout to Model tool. It will now export circles and arcs as circles or arcs instead of making them polylines. Multilined Text, Mleaders, Dimensions and tables all have a new Strikethrough formatting style that will create a “strikethough” line in your text. Not a big thing again, but a nice thing to have. The number of display rows for the Font Dropdown list has been increased in the Text Style dialog, the Text Editor ribbon tab, and the ArcAligned dialog box. Leader are no included on the TextToFront tool. The MLeader text box has been updated with to have a margin between the text and the frame to provide a minimum width for the mtext in order to prevent text overflow. Wipeouts now include the option to display but not to plot the wipepout frame. Use WIPEOUTFRAME and set it to 2 just like in IMAGEFRAME. Now when using the OFFSET command you will get a preview of the offset once you have entered in a distance and hover over an object. Autodesk has been developing a Cloud Based service for some time now. AutoCAD 2013 integrates with several of those Cloud services. If you are on Autodesk subscription or have set up a free account, you can login to your Autodesk cloud account and store files online. You can also share those files. Log on to the Autodesk Cloud from the Infocenter toolbar. Not only can you store files in the cloud but you can store AutoCAD program specifics. You can sync your program appearance, profiles, workspaces, options and support files across the internet. Go to the ONLINE Ribbon tab to get to many cloud based settings. The Autodesk 360 button will give you access to the files you have stored online. The Online options button controls your settings. Open on Mobile will send your file to your mobile device. But your device needs to be signed in to the AutoCAD WS mobile app. Upload Multiple will let you upload mmore than one file to the cloud at a time. The settings buttons manage your account settings. The Share Document button will send your file to another person. Collaborate Now will open the current file in AutoCAD WS and allow you to share your session with others. The CAD Manager Control Utility has been updated to include controls for Autodesk Cloud tools. This allows CAD Managers to control how their company’s users will interact with AutoCAD’s cloud based tools. AutoCAD 2013 also comes with built in Cloud rendering tools. That means that if you have a large file to render you can take advantage of the power of many computers to assist you. The Stay Connected feature in the InfoCenter tool makes it easier to stay up to date on your AutoCAD software and to remain connected to the online AutoCAD community. Log on to the Subscription center, view AutoCAD Facebook and Twitter posts here. The Content Explorer has been given new enhancements as well. It now has indexing support for file name, date created, etc.) for many more different file types than before. Any file that can be opened, imported or attached using AutoCAD can be indexed. AutoCAD 2013 is an interesting update in that many of the changes to it are enhancements to existing tools and not necessarily new tools. There is new functionality to it of course but mainly only new features to older tools. It also includes many online or cloud based tools and functionality. This native support makes using Autodesk’s cloud services easier and more streamlined. This post is simply an overview of the new features in AutoCAD 2013. I will be taking a closer look at the new functions/tools/updates in later posts. I also plan on posting a true review, what I think, what I like/don't like of AutoCAD 2013 in the coming weeks. One of my favorite days of the year is March 14th. 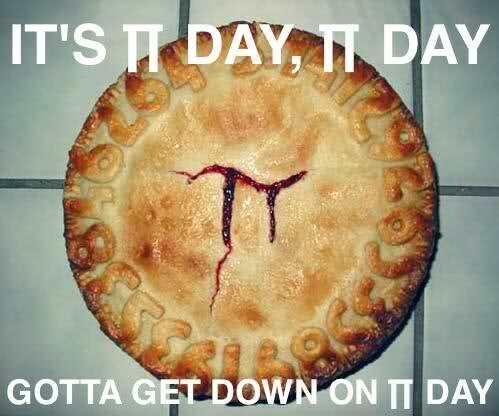 March 14th, in the United States is known as Pi Day (π Day). The number Pi (π), 3.14159, is a mathematical constant that is the ratio of a circle’s circumference to its diameter. Pi (π) is used to help calculate many areas and volumes involving circles and arcs. 3Dconnexion has been providing 3D mice for a long time now and I had the privilege of taking a look at their SpacePilot™ Pro. A 3D mouse is an additional mouse that provides three dimensional interaction while working in CAD. They allow easy access to different views through additional navigational tools. Depending on the models features they can rotate your views, zoom in or out, pan, switch to saved views with the push of a button and provide a greater range of navigational tools than a standard mouse. They do not replace a standard mouse but work with one. 3DConnexion’s SpacePilot™ Pro is their top of the line fully featured 3D mouse. This product has all of the bells and whistles. The SpacePilot™ Pro features six-degrees-of-freedom (6DoF) sensor technology, second generation Quickview Navigation Keys (providing 32 standard views), an LCD screen, multiple function keys, keyboard modifiers, and an ergonomic wrist rest design platform. The AUGI HotNews March edition is now available. The Feature Story (written by me, Brian Benton) entitled “CAD on the GO” takes a look at several mobile applications available from Autodesk. Mark Kiker’s CAD Management article, entitled, “Get It In Gear” discusses methods of motivating your CAD People. And don’t forget AUGI President David Harrington’s monthly letter to all AUGI members. This month’s Sponsor Spotlight is brought to us by HP Monitors. Check them out. 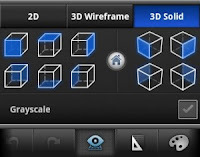 Autodesk Updates AutoCAD WS – now in 3D!!! These three new features in AutoCAD WS are great. The 3D support should probably have been there the entire time, but that’s ok because it is here now. Users can now go between 2D and 3D views. 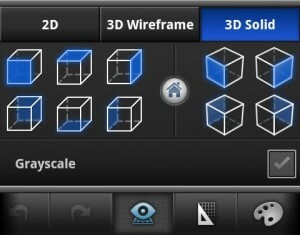 There is no 3D editing so those features are turned off during a 3D session. You can view the 3D model with a series of preset views. There are ten preset viewing angles as well as the ability to rotate your view as needed. You can also view the model in Wireframe mode or Solid mode. These views only have two visibility states, Grayscale and not Grayscale. The GPS support lets you locate yourself in your file. It uses the GPS abilities of your mobile device so accuracy is limited to what the mobile hardware can do. Don’t use it to create survey points but it will get you close to where you need to be. The GPS functionality does work with AutoCAD WS’s Google Maps functionality. Tag your location the file and then load a Google Map image of where you are. This is good to create a map, or to quickly identify where your project is located. The ability to plot from your mobile device via AutoCAD WS is limited to HP Printers that have ePrinter abilities but it’s a start. It can print to PDF or DWF which is really nice. What I would like to see in the next update. It would be nice if all visibility (or at least more) were available. The ability to use other cloud based printing services/apps. Google Cloud Printing or my PrinterShare app integration for example. I don’t have access to an HP ePrinter (HP if you are reading this I would love to test some out for you and blog about them) but I do have access to a Google Cloud Printer and other wifi printers. For now I have to print to PDF and print that file from my device. The ability to create a new drawing. Please add this. What would you like to see in the next update of AutoCAD WS? TurboViewer Pro has all of the abilities of TurboViewer X and more. These additional functions make the Pro version of TurboViewer for Android more appealing than the lower end versions. The ability to send files and open files via the web is kind of the point to mobile devices. Add on to that the ability to view 3D files with different visual styles and it makes the price worth it. The app works well and is easy to use. What’s new in AutoCAD 2014? AutoCAD 2009 – Color Change – WHY? © Copyright 2007-2015 CAD-a-Blog /Brian C. Benton| All Rights Reserved. Awesome Inc. theme. Powered by Blogger.